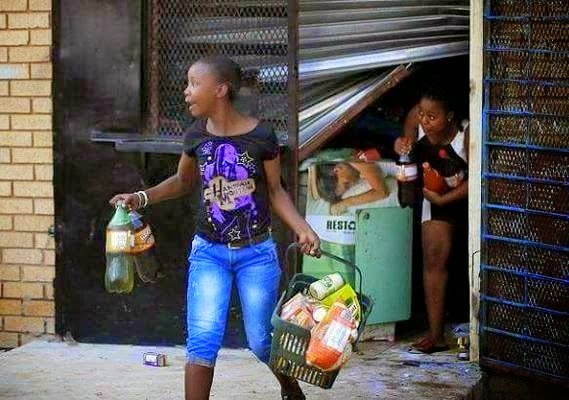 Home / Unlabelled / SOUTH AFRICA: THE FINAL ROAD TO PERPETUAL SLAVERY. 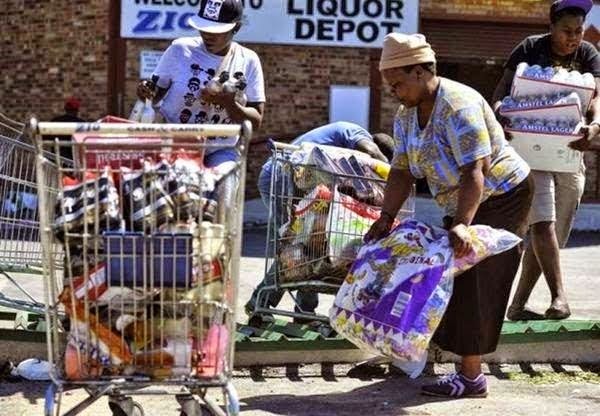 SOUTH AFRICA: THE FINAL ROAD TO PERPETUAL SLAVERY. The white Boers came, saw and conquered; enslaving, maltreating, segregating, butchering and killing them right in their own land. And one of them who have the gut to dare the oppressors for oppressing his people, was hunted down, both he and his co-activists, captured put behind bars for life and eternity in a jail house in Robben Island. All the Africans both at home and in diaspora, rose and fought for their brothers in South Africa. Musicians sang. The likes of Bob Marley , Peter Tosh our own Sunny Okosuns in Nigeria and many others sang liberation songs agitating freedom for South Africans who have beenturned next to an animal second class citizens, meant to be barbecued and roasted in their own very land. African leaders rose up to the occasion, mobilized every weapon at their disposal, diplomatic, political financial and what have you to fight these oppressors of their fellow South Africans African brothers. One of them, our own Olusegun Obasanjo here even advocated the use of ‘black power’ to fight these apartheid slave masters in South Africa. It was that serious! Obasajo’s predecessor General Murtala Mohammed even went as far breaking the jawbone of one apartheid backers, by nationalizingone of their oil companies, the then British Petroleum into African Petroleum. Murtala Mohammed, one of Africa’s best, paid for that with his own very life. We can go on and on. International activists of various shades and colours were not left out of this freedom struggle. Yea, the entire world rallied round these oppressed Africans with tough sanctions against the regime of their oppressors, yet the battle went tougher, while the hero of their struggle languished away in a jailhouse on a faraway Island. Finally the pressure paid off after several years and decades of agitation, both local and foreign, violent and nonviolent. No matter how tough an iron is, severe heat and hammering from an equally tough blacksmith will bend it the way the blacksmith wants. The oppressors finally wilted under pressure and left with between perpetual daily wars and armed uprisings and permanent peace chose the latter. Frederick De-Klerk opted for the negotiating table, Nelson Mandela after spending 27 years in jail was freed, a free and fair election was conducted and power was transferred to the black majorityand the rest was history. Not to bore any with the monotony of post-apartheid events, the hero of this struggle died in 2013, and was buried amidst global emotion laden tributes, plus international pomp and pageantry. But prior to this event, another man had taken the mantle of black majority leadership in South Africa. 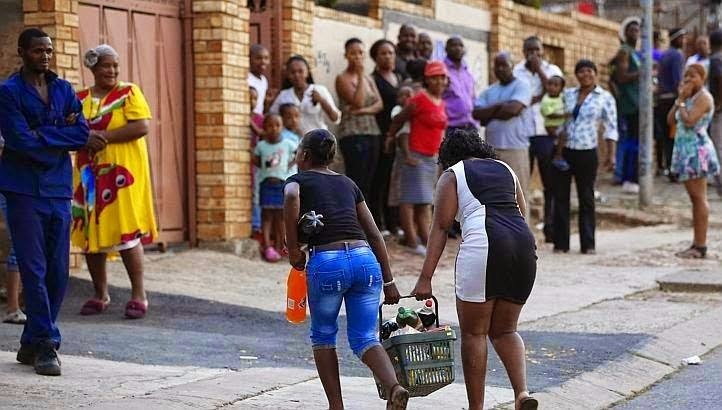 A man whose hedonistic lifestyle proved the apartheid minority oppressor leader, Botha right in one of his racial hatred laden speeches, that all what Africans are best at, is marrying many wives. And the one currently in power in South Africa has gotten harems of them. But harems or no harems is not even the issue here. Come to imaginewhat South Africans are now paying back their fellow African neighbours and brothers who stood by them in their years and decades of trials and tribulations with? 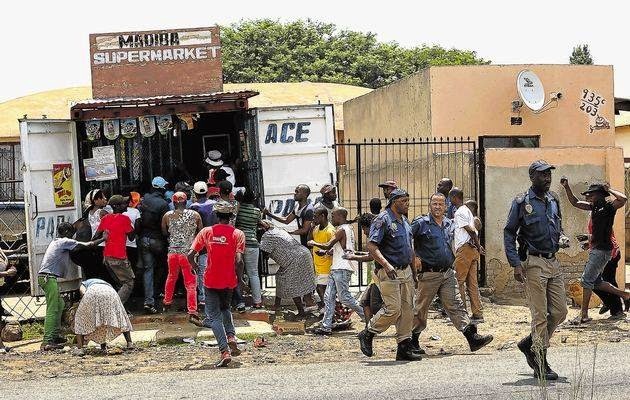 The same brothers and neighbours who sang their voices hoarse, made speeches that cost them even their own very lives, all to ensure their freedom from apartheid slave masters, are now being rewarded back with grievous evils, burning them alive, looting their properties, just name any atrocity called xenophobia! Now how right they might have been. 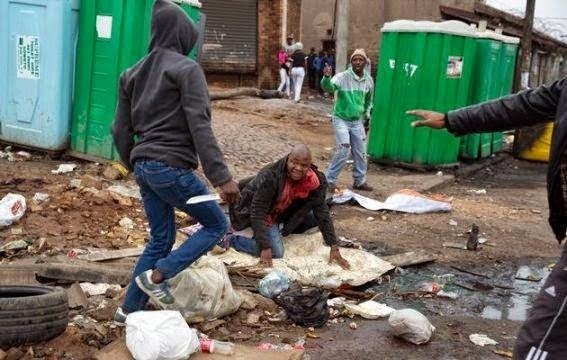 Because the question now on the mind and mouth of all is; are these South African blacks worth a dime fighting for after all? Let me conclude and say all what I foresee as the aftermath and consequence of these grevious evil South African are perpetrating against their fellow blacks. 1. They have let the whole world what they want for doing what they are doing. That all black foreigners get out of their land and leave them with their former white oppressors. Good. Of course the blacks will leave their land and leave them and their former slave masters alone. 2. 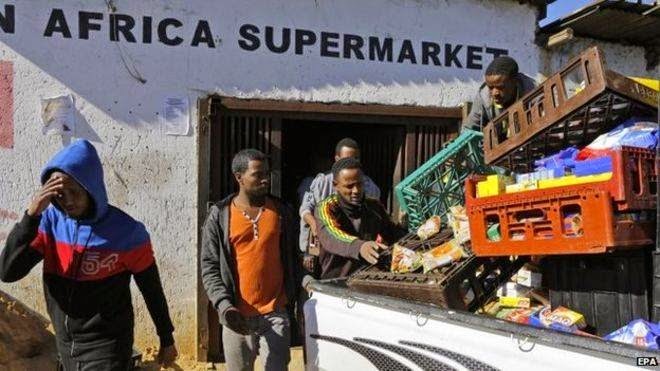 The black foreigners having left, leaving them alone with their white masters won’t solve their problem of laziness, unemployment and sundry vices. 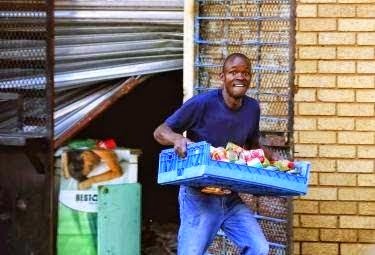 There and then, their former slave masters the whites, understanding that they may be the next on the line, that these black jobless, South Africans will turn the heat on, won’t wait for them until they strike. 3. 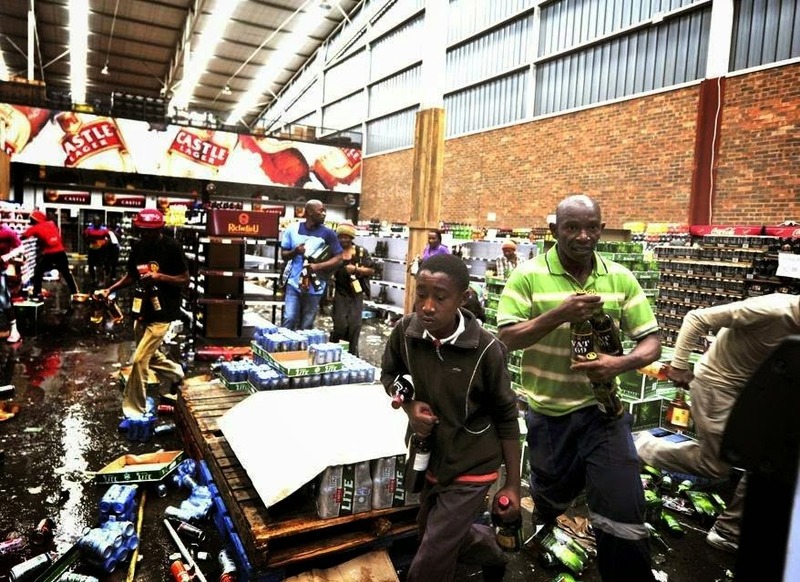 The white minority South Africans, with superior weaponry and technology, having watched the horror of Rwandan genocide in April 1994, would rather not take things lying low; and wait for another inevitable Armageddon! They won’t open their eyes and allow their children, nursing mothers and pregnant women to be made a burn offering to vultures! Rather, theywill strike first! SO WHAT LEGACY FOR THE FUTURE GENERATION? 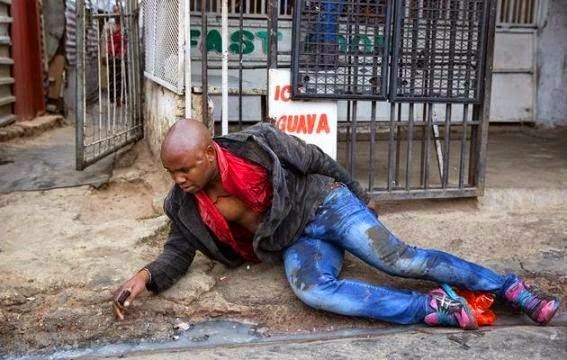 Should this happen again to South African blacks, no African leader, activist, musician or any pressure group, home or in diaspora will ever raise his voice again in their sympathy or defence, with what they are doing now. And if their African neighboursand brothers refuse to talk this time, the whole world havegot no choice than to keep mute, and watch them being molested and mauled again by the white South African bears called Boers. And their latter end will be worse than the former. Welcome the South Africans to the final road to perpetual and permanent slavery.